This entry was posted in Content Marketing on October 30, 2013 by . 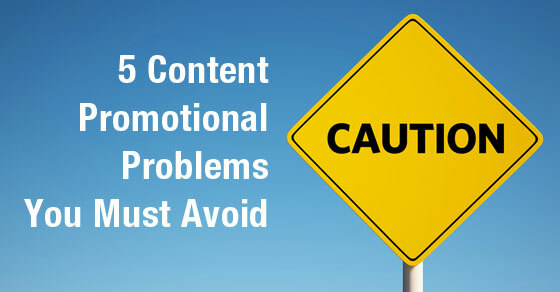 5 Content Promotional Problems You Must Avoid! Everyone in the content marketing industry has been in the situation where they spend a few hours crafting the perfect piece of content. You have the perfect headline, your industry analysis is insightful and groundbreaking, you’ve gone through ten drafts to make the piece perfect. You expect this will be the “War and Peace” of your blog so you hit the publish button and nothing happens. You don’t get any likes or shares and you keep hitting the refresh button on your analytics platform expecting something to change and nothing. You start questioning yourself – Did you write a dud? Maybe or maybe not. You might have just forgotten some of the key promotional methods you should always follow with new content. You Have No Promotional Plan – If, when Leo Tolstoy finished his book “War and Peace” and just put it in his closet, no one would have ever read it. The same goes with your blog posts! You need to have a plan on where you’re going to promote your articles and take the time to promote it. Just because you have a blog, you can’t expect the world to find it. Take the time to come up with a promotional plan for every blog post you do. Try using social media, emails, SEO, paid sponsored ads, and more. You can have the most viral piece of content, but having an initial promotional plan always helps get the ball rolling. Only Using Organic (aka:FREE) Marketing Tactics – Search engine optimization (SEO) takes a lot of time to bring in traffic. Social can bring in a lot of great free traffic, if and only if, you already have a large fan base. The same goes for using emails, it takes time to develop a list. Even if you have a high ranking SEO site, a huge social following and a large email list, it will still help to launch your content with paid sponsored listings. Throwing Good Money After Bad – We have always been in the situation where we are on a roll and produce hit after content hit and we feel invincible. We think we finally cracked the code and can consistently produce perfect content. Sometimes as much as we hate to say it, we all produce duds. Even Steven Spielberg fails sometimes, remember “Howard the Duck.” If one of your new pieces of content just isn’t catching on, maybe its time to stop your paid ads and move on. Try to analyze what went wrong and learn from your mistakes. Releasing Your Content at the Wrong Time – The prime time for most businesses to release content is Tuesday – Thursday from 11am – 3pm. This does vary by industry so refer to your own analytics on both social and your website to figure out the best time to release new content. On social media, the bulk of your shares, retweets and likes happen within the first hour so plan accordingly. Paid sponsored advertising does continue to bring in traffic for days, weeks or even months but it’s always best to launch new content in prime time. Make Sharing Easy – You should make sharing your content on your website as easy as possible. If your using WordPress as your content management system (CMS), make sure to add a social media sharing plugin to your system to make it easy to share the content. If you have a custom solution, you can use tools like sharethis.com to make social sharing even easier. Also, don’t forget to include an email sharing plugin or button, in addition to social sharing. You will be surprised by how many people use it. This entry was posted in Content Marketing on October 25, 2013 by . According to statistics from Technorati, the number of blogs has doubled every six months for the last three years. More content is now being produced than ever before in the history of mankind. If you’re a content marketer, what you really want to be doing is to be producing content that gives people a reason to share it. This entry was posted in Content Marketing on October 18, 2013 by . The Holidays are just around the corner and people are getting ready to open up their wallets as we get to Q4. This year is predicted to be a banner year for online sales and marketers should start planning to capitalize on the holiday season. 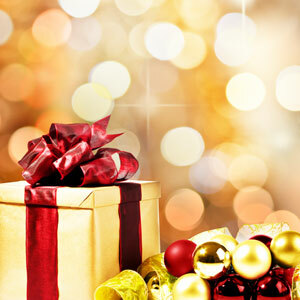 The following tips outline ways in which to have a successful holiday promotion. Proper Planning is Key – Even though the holidays are at the same time every year, marketing departments still forget. Everyone these days is stretched in 10 different directions, it’s easy to forget the big picture. Start by placing a calendar in your office. Make a note of the holidays you would like to do special promotions for and plan backwards to make key deadlines for all your requirements. 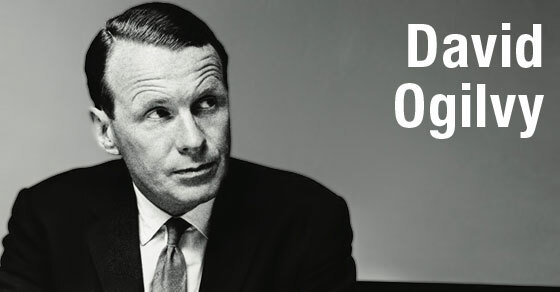 Let History Be Your Guide – No sense in reinventing the wheel completely. Check out your past holiday ad campaigns if you’ve done them in the past. Do an analysis of the messaging and performance. See what worked and what didn’t work for you. Freshen up the best of your last campaigns (if any) and test some new concepts. Have Unique Creative – People have strong emotional connections with holidays and having unique creative is essential. Try and use holiday imagery in all your creative promotions and have special copy written. Unique Offers –Create unique offers just for the holidays. If possible, offer free shipping just for the holidays or a unique discount. Use a coupon code which people can share and encourage them to share it socially. Create Holiday Themed Contents – Everyone loves contents and creating a special one just for the holidays can attract additional attention to your site. Think about pumpkin carving photo contents for Halloween or recipe submission contents for Thanksgiving. Something to get people thinking about the holidays and getting in the spirit. Make Your Landing Pages Consistent with Your Campaigns – Ensure your landing pages and creative promotions are in harmony with each other. They should have an overall matching theme and consistent messaging. Keep the tone similar. 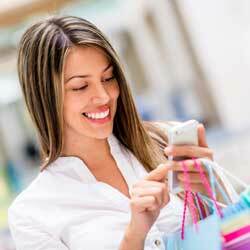 Don’t Forget Mobile – Maybe people are really just starting to make a big push towards mobile. If your company is not one of them, now is the time to experiment. Prices for mobile advertising is still substantially lower than desktop inventory, and advertisers who are learning to crack mobile are seeing greater ROI in the space. This entry was posted in Content Marketing on October 15, 2013 by .